Discover the delights of the Slovenian region of Kras on a day tour from Ljubljana and other select towns. 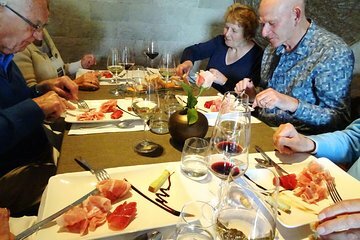 You'll enjoy three wine tastings, an olive oil tasting, and lunch as you learn about the area's culinary culture. Sample Karst prosciutto, and take a half-hour tour with a guide of Štanjel village and the Ferrari Garden.